This topic contains 1 reply, has 2 voices, and was last updated by admin 7 months, 1 week ago. Hi , after I collect my customer data using formidable I also enter data myself on hidden fields of the customer form then I would like to have the faculty to email a PDF with certain data direct to the customers email address that they have submitted via the form. Can this be done with “Send PDF” button? Yes, there are a couple of ways to accomplish the described functionality. 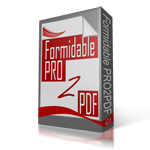 We’d setup an email action to send on “Update” and configure a PRO2PDF field map layout to attach the PDF to the email action. Then, create a view or another form for Admins to edit the hidden fields. Let us know if you need additional assistance, or complete this form if you would like a quote for us to create the form(s) for you.